The Royal Coachman Lodge, a fishing lodge in Alaska, sits on the banks of the Nuyakuk river. 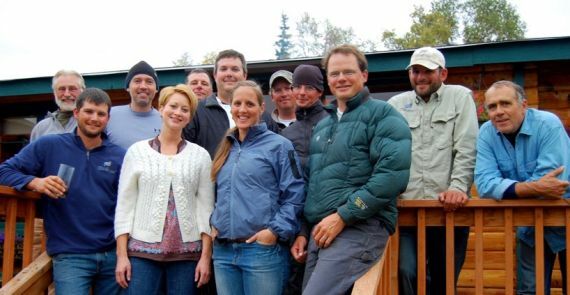 Overlooking our home pool and catering to a maximum of 10-12 anglers per week (and private groups up to 12) and having 10-12 people on staff makes this Alaska Lodge one of the best. This small number of guests and large staff helps to ensure that you will have the maximum amount of personal service and attention that this truly world class fishing adventure offers. 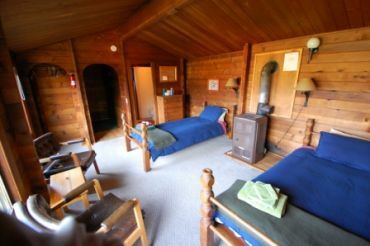 The fishing Lodge in Alaska houses the kitchen, dining room and lounge, library corner, one guest room with a private bath, and massage room. 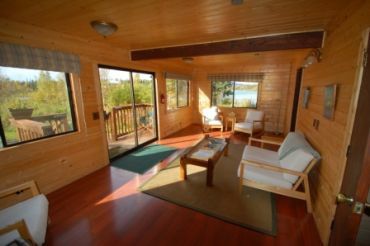 Comfortable and cozy, this is where you will plan each following days excursions. You and your guides will sit around the fire, and decide what type of fishing you would like to do, and plan the details of tomorrow’s outing. There is no pre-scheduled fishing program here. Custom tailoring each day’s fishing is one of the major advantages to our small and personal approach to sportfishing. The Royal Coachman Lodge in Alaska has been serving guests since 1970. Our philosophy and attention to detail has set the standard that others try to attain. It’s our trademark and we’re proud of it! 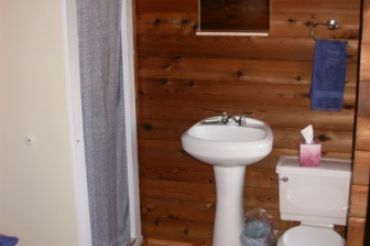 This is a cedar cabin with two bedrooms, bathroom, and private living room. 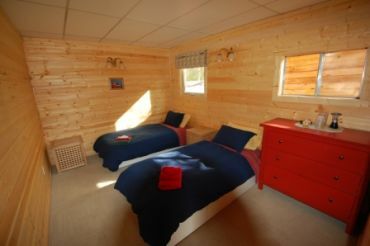 This is a favorite cabin for families. The Duplex is a favorite for groups of 4. 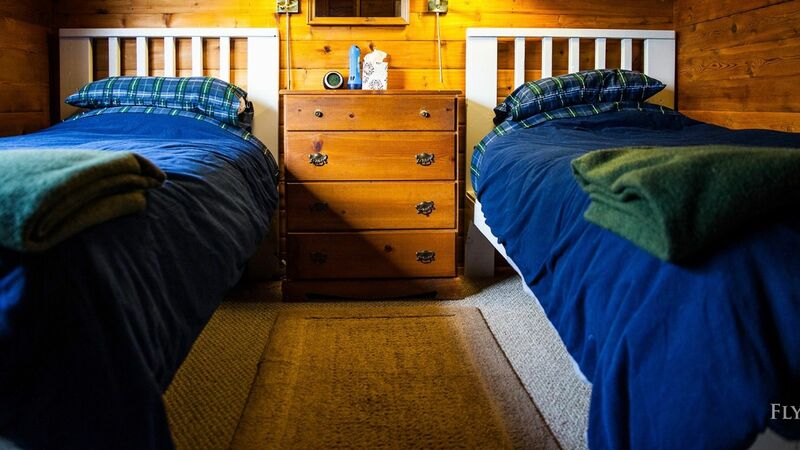 With 2 private bathrooms, 2 bedrooms with single beds or convertible into one King, and a private living room, it is our largest cabin. 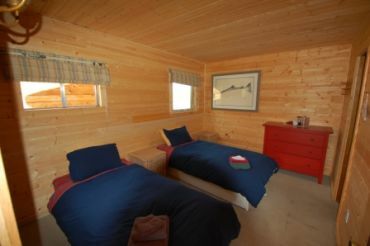 A nice private cedar cabin with a bedroom with two single beds, a bathroom, and small mud room for changing. 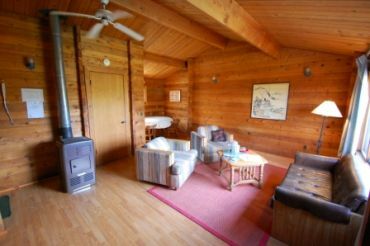 A private cedar cabin for a single fisherman, or someone looking for their own privacy. 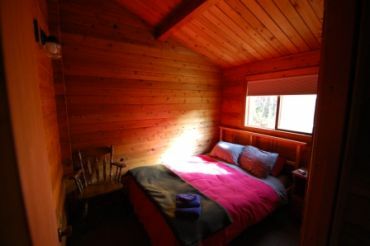 It is a one room cabin. 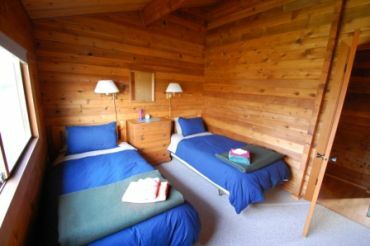 Our bedroom in the lodge has a double bed, and a single bed, and a bathroom. 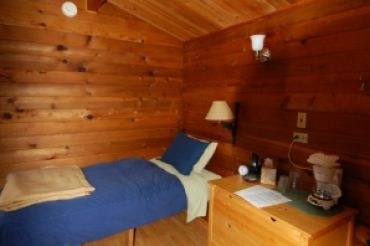 It is nice and convenient as it is in the lodge. Breakfast is served in the main lodge around 7:00, and coffee, and tea are set out at 6 a.m. just to help take the edge off while you get ready for breakfast and the day. Lunch is served streamside, sometimes pre-packed and often times prepared by your guide on site. Dinner is served in the Lodge at 7:30 p.m. When it comes to the fishing, there are no routines! Its whatever you and your group want to do, and wherever you want to go, totally your preference. The aircraft and guides are ready to leave the docks about one half hour after everyone is done with breakfast, usually between 8:00-8:30 a.m. We return to the Lodge each evening about 6:00 p.m. There is great evening fishing in front of the Lodge for those who just can’t get enough of a good thing, and with the Alaskan midnight sun you can fish all night if you want. 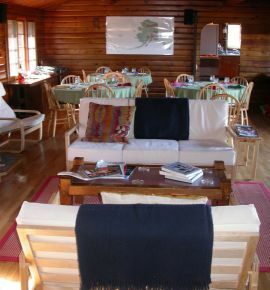 The Royal Coachman Lodge, a fishing lodge in Alaska, prides itself on the quality and abundance of the food that is available to its guests. Freshly baked bread, rolls, and pastries are served at each lodge meal. Fresh fruit and vegetables are always available. Dinner menus vary but typically include New York steak, turkey, prime rib, Halibut, a variety of Alaskan seafood, and similar items. Lunches are prepared by the lodge kitchen staff and are often times supplemented by fresh fish cooked on the stream bank. 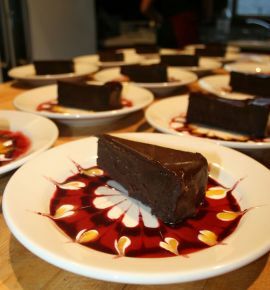 Homemade soups, breads, pastries, and desserts are the specialties of the house. Snacks are always available and we serve appetizers each evening. You won’t find better food at any fishing lodge in Alaska.